How you source often comes down to how you search. IntelliSearch – powered by the same engine used by the intelligence community – takes advantage of intuitive searching to find candidates based on concepts - not keywords. Ever feel like your searches are slow AND basic OR inefficient and NOT accurate? 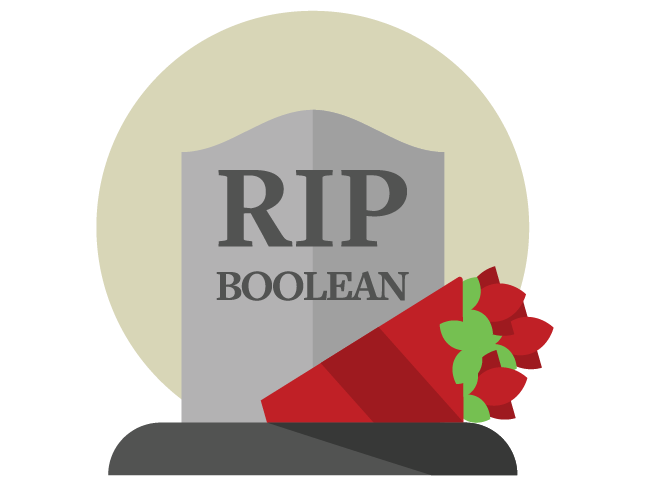 If you’ve ever felt like you need a Master’s degree in Boolean to uncover the best candidate, you’re going to love IntelliSearch. Using deep machine learning, our new contextual search means everyone is a search guru, not just the Boolean black belts. Typing long and complex Booleans takes time and care. But seriously, who has time to continually craft and refine Booleans into being truly useful? The new IntelliSearch on ClearanceJobs cuts search time from minutes per search to seconds. Copy and paste your job description and click search. That’s it. 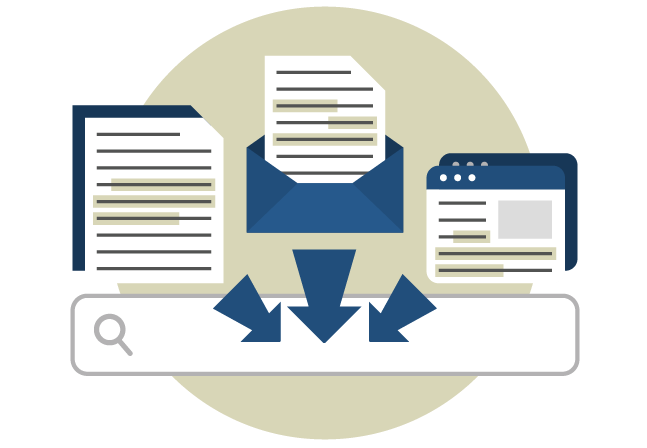 Getting solid resume search results has never been easier or faster. 1. Copy and paste your full job description or ideal resume into our search field. 2. Select minimum clearance level, location, or any other required filters. 4. Presto – instantly receive top matching candidates. The simplicity of IntelliSearch will have you asking… why don’t all search tools work this way? Seeing is believing, give IntelliSearch a try yourself. And prepare to be amazed. ClearanceJobs customers already are: 68% are either using IntelliSearch exclusively, or in conjunction with their traditional Boolean searches. Read more about Phyllis' experience with IntelliSearch. Can I include must-have skills or keywords in my search? Yes - but only after you run your initial IntelliSearch. From your results page, you may then add keywords or even Booleans into the search box. What does the highlighted text in candidate resumes indicate? Blue highlighted text in candidate resumes contain relevant words and phrases that relate to the context of your search criteria. For example, if you copied and pasted a job description for an Administrative Assistant as your search criteria, blue highlighted text in a resume could relate to typical skills an Admin Assistant usually has, or particular software they'd likely use, or other contextually related details. If you have refined your results with keywords, those keywords will show up highlighted in yellow. Do I need to remove formatting, bullets, or other special characters from my job description? No - you can leave these in and IntelliSearch will ignore them. Does the text I copy and paste into my IntelliSearch resume query have to be a job description? No! You can copy and paste any text to match on, including resumes you are trying to match, articles, text from an RFP, etc. Can I save my IntelliSearch results? Yes – just like a Boolean search, you can save your search results for future use, or have the results emailed to you regularly. How can I increase the quality of IntelliSearch results? Look at the text in your job description, and remove any text that isn’t relevant to the position. For example, remove your company description, headers like “Required Skills” or “Job Summary,” clearance or polygraph levels as words, and location information. Why is IntelliSearch better than traditional Booleans? Boolean logic asks simple questions, with either “yes” or “no” being the only possible answers. For example, "does this resume contain the word ‘Oracle’?” and the answer is a definitive “yes" or “no.” Contextual search (how IntelliSearch functions) can not only ask “does this resume contain the word ‘Oracle’?” but also “in what context is the word ‘Oracle’ used?” and “how does the word ‘Oracle’ relate to other words in this resume?” Boolean search is famous for many false positives. For example, searching for the word “intel” can either mean “intelligence” (intelligence analysis) or “Intel” (the company). Boolean logic doesn’t know which version of “intel” you are looking for – IntelliSearch does, because it understands the context of the word based on other words in the search criteria you enter. What does the score mean next to the candidates photo? The most common misunderstanding is in thinking that if a candidate has a score of 85 against the job description you submitted to IntelliSearch it means they share 85% of the words. While they likely share some terms if they are very similar, this is not taken into account for the score. Think about it more like a degree of similarity. The higher the score, the more similar they are in terms of meaning or concepts. One of the great things about concept search is that you can find candidates which do not have the same terms you have in your search string but are most conceptually similar to the meaning of your search. How do I run an IntelliSearch search from my job postings? Once you've posted a job, you may go to your Job Post page, click on the actions icon on the right, and select IntelliSearch. This will automatically pull in the clearance level you've selected for your job, as well as include matches that are within a 50-mile radius and perform the IntelliSearch for you. Do candidates use IntelliSearch for job searching? Yes, candidates are able to use IntelliSearch to find the most relevant jobs to their profile and resume. Make sure your job posting is specific and detailed to ensure your positions are being served up to the candidates with the best fit.